Hello again Refashion Co-op. 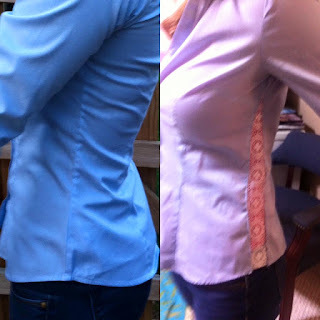 This is a tiny fix that made these shirts much more useful. I bought this tank to wear under other shirts that felt too low cut. I didn't try it on and it was also too low cut. I folded it in half down the front and stitched a new seam right down the front of the shirt. It slimmed the whole shirt a little and it closed up the V in the front by about an inch and a half. It made a big difference. I had a white one that got the same treatment. The seam is very visible on the white shirt and less so on the black. They are both underneath other shirts so it's OK. Here is a picture of my daughter's latest project. 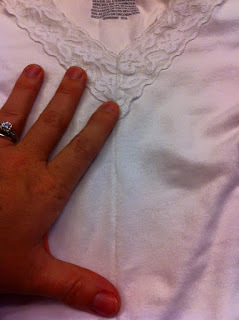 She used lace to expand the body of this shirt. 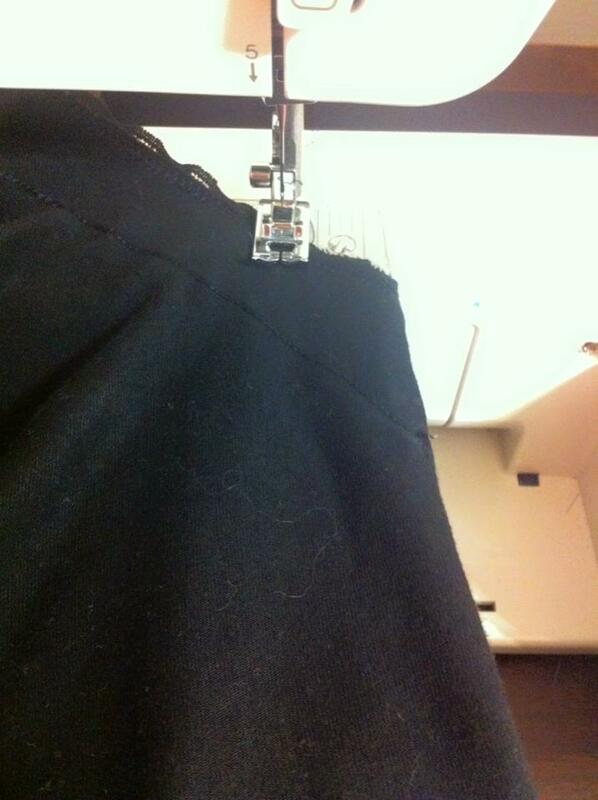 I actually did the same thing with a size 3x shirt someone gave me! 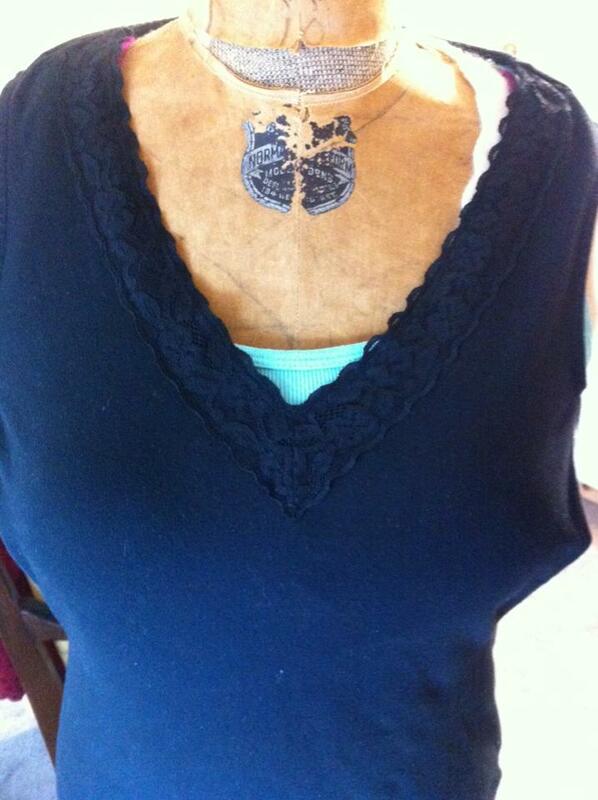 It was not possible to recut it or take it in any other way and not have the V-neck down to the bra strap. The neck was also so wide that it was to the edge of my shoulders. So taking it in in the middle front and middle back solved the problem. Hard to match up the stripes though! Yes, I couldn't think of another way to alter the V. I am trying to imagine matching up all the stripes! Yikes, that sounds difficult.